Whether toting laundry, groceries or shopping items this liner will protect your goods. 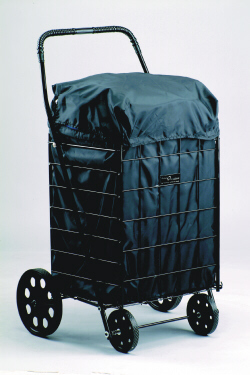 This heavy duty nylon liner will provide the added benefit for your Minnie Mate folding shopping cart. This is an all weather liner with a drawstring top. 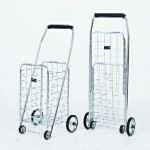 There is an adjustable strap handle for use when it is not in your cart basket. 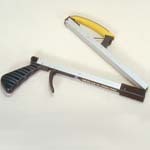 The liner is made of easy to clean nylon and is available in black, white and yellow. 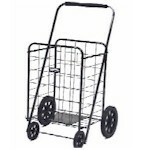 Please Note: If ordering a cart and a cart liner in the same order and you inadvertently select the incorrect size; we will correct your order and send the correct size.